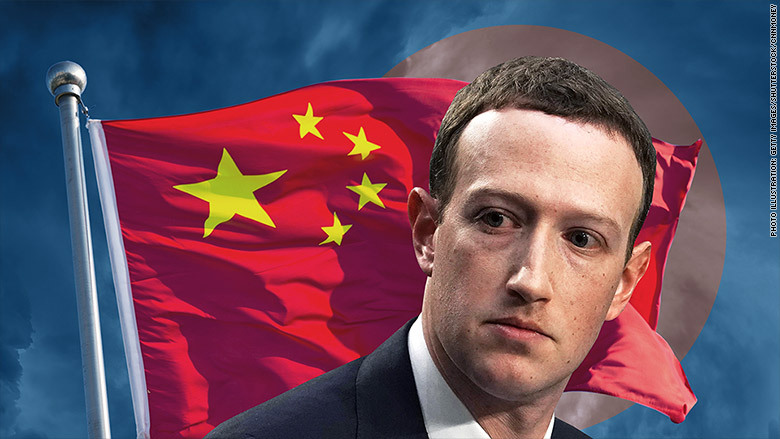 What's Next: Facebook's China Problem: Facebook has acknowledged that it is sharing user data with Chinese companies, including Huawei, the smartphone maker that US intelligence agencies have called a security threat. The admission comes after the New York Times revealed that Facebook shared data "with at least 60 device makers," including Apple, Amazon and BlackBerry, even after claiming to have shut down third party access to user data in 2015. Facebook now says it will stop sharing data with Huawei this week. • US officials have repeatedly expressed concerns that the Chinese government can use Huawei smartphones to gather intelligence on US citizens. • US lawmakers have new ammunition: Sen. Marco Rubio says Facebook "might as well have given [user data] directly to the government of China," and Sen. Mark Warner wants to know "how Facebook ensured that [user] information was not sent to Chinese servers." • US citizens might understandably question the sincerity of Facebook's stated commitment to protecting user privacy, given that the company never seems to own up to its problems until they are exposed by the media. How Facebook sees it: Francisco Varela, VP of Mobile Partnerships, says this was standard industry practice: Other US tech companies did it and Facebook's integrations were controlled and approved by Facebook. The Big Picture: Facebook can never fully control what third parties do with your data. What it can control is how transparent it is with the public -- and on that front it doesn't appear to be doing very well. But ... Congress has failed as well. Their inability to curb Facebook's data sharing practices is a sign of their own ineptitude and inattention. Bonus: The US and China are nearing a deal to save ZTE, per Reuters. Sen. Chuck Schumer says Trump is putting "China, not the United States, first. Gavin Newsom will almost certainly be California's next governor. Antonio Villaraigosa conceded the gubernatorial race late Tuesday night, leaving Newsom to face Republican John Cox in a state where only a quarter of the population is registered Republican. What's Next, via Politico: "With an eye toward his next job as chief executive of the world's fifth largest economy, the former mayor is talking about tackling issues like jobs, housing, income inequality and homelessness." Amazon has a secretive group at its Seattle headquarters that is dedicated to ambitious projects, including an attempt to cure cancer. • Grand Challenge is led by Babak Parviz, the creator of Google Glass, and focuses "on a series of bold projects involving cancer research, medical records and last-mile delivery." • "Similar to Alphabet's experimental research lab, X ... Grand Challenge is a research team set up to explore ambitious new ventures that can eventually expand Amazon's already wide footprint." • "The group, which also operates under the monikers 1492 and Amazon X, has added over 50 people since 2014." The Big Picture: Grand Challenge "illustrates how far out Amazon is going to pursue innovative projects, beyond its primary businesses of e-commerce, consumer devices and Amazon Web Services." Bonus: Amazon is reportedly upping its investment in India by $2 billion. • "This is an investment in quality news on Facebook." • "We have pushed intensely over the last six months to emphasize quality over quantity -- down-ranking click bait, down-ranking sensationalism." • "We want to explore new and different ways people are engaging with news and information today." The first slate of shows look as if they will be very similar to broadcast and cable: ABC's "On Location" will feature ABC News journalists reporting from around the globe, while CNN and Fox's shows will be hosted by star anchors Anderson Cooper and Shep Smith, respectively. Univision, ATTN, Mic and Alabama's AL.com will also have shows, and Facebook plans to add several more media partners before the launch later this summer. The Big Picture: Facebook's news programming will serve as yet another test of whether linear television programming can work on digital platforms. The success or failure of that effort will likely depend on whether news organizations tailor their shows to mobile consumption habits or simply repurpose conventional programming. Bonus: NBC News, which does not have a Facebook Watch show, has begun hiring for an online streaming network that will soft-launch this summer, per Variety. The channel will feature "original video content, not pick-ups of programs that already exist on NBC or MSNBC." Facebook's Instagram is preparing a new feature that will give users the ability to post long-form videos, possibly up to an hour in length. • "In recent weeks, Instagram has had conversations with content creators and publishers about producing long-form video for the platform, a person familiar with the matter said." • "The people said the plans are tentative and subject to change." The Big Picture: Both Facebook Watch and long-form Instagram videos open up new advertising opportunities for Facebook/Instagram. • "The branding campaign, which kicked off in the U.S. last month with television ads featuring Uber CEO Dara Khosrowshahi, includes additional product-focused television ads starting this week, as well as online and billboard ads." • "The ads ... take a conciliatory tone. In one ad, Mr. Khosrowshahi says, "It's time to move in a new direction ... You've got my word that we're charting an even better road for Uber and for those that rely on us every day." The Big Picture: The $500-million price tag highlights just how hard Uber's reputation has been hit by previous scandals -- or at least, how hard it believes it's been hit. Uber has never spent this much on marketing before, and Anand says some staffers question how much the public actually knows (or cares) about the company's missteps. Musk Watch: Is Tesla back on track? Elon Musk says Tesla is producing 500 Model 3 vehicles a day -- putting it on track to produce 5,000 cars-per-week by the end of June. If he's right, that would mark a major turnaround from April, when Tesla produced just 2,500 Model 3s for the month. • "This is the most excruciating, hellish several months that I've ever had. And a lot of other people at Tesla. But I think we're getting there." • Musk said full production of the entry-level $35,000 Model 3 would begin in 2019. • Musk said Tesla expects to have "positive cash flow" in the second half of the fiscal year" and will not need to raise any incremental debt or equity. • Tesla rejected shareholder proposals to split the chairman and CEO positions, both of which are held by Musk. The Big Picture: This is a promising sign for Musk and Tesla, given that Wall Street and the media were beginning to lose faith in both. But both camps may still be wary about Musk's ability to follow through on future promises. My colleague Rachel Crane has become the first reporter to fly Kitty Hawk's Flyer, the newly updated single-seat flying machine financed by Alphabet CEO Larry Page. "The joystick is so intuitive," Crane says, "but it's not the most comfortable thing I've ever sat in." Watch the video of her flight. A new study from PricewaterhouseCoopers puts some hard numbers on what we already know: Netflix is forcing traditional TV players to cannibalize themselves. • "The traditional TV and home video market will fall in the U.S., and it is expected to decline through at least 2022." • "Traditional TV is cannibalizing its customers with skinny bundles." • "To keep subscribers, legacy TV needs to spend on premium content, but it's getting increasingly difficult to compete with the digital upstarts, with Netflix spending $6 billion last year while Amazon spent $4.5 billion."